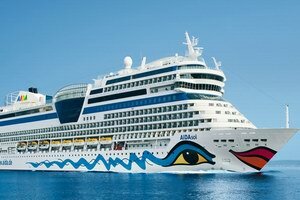 AIDA Cruises is the cruise industry leader for the German market and is one of the 10 brands owned by Carnival Corporation. In April 2016, AIDA Prima entered service, bringing the AIDA Cruises fleet to 11 vessels. In summer 2017, AIDA Perla will join the fleet and they have plans to debut a new 180,000 ton class ship in 2019 and 2021. AIDA Cruises roots date back to the 1960s before being acquired by P&O Princess Cruises in 2000. Following the merger between P&O Princess and Carnival Corporation, AIDA Cruises’ executive control was transferred to Costa Cruises Group. AIDA offers cruises to North America, South America, Northern Europe, Western Europe, Southeast Asia, Canary Islands, Mediterranean, Caribbean, Baltic Sea, Red Sea, Black Sea and Dubai cruises. They offer a kids club from age 3 as well as a program for teens. Although German is the on board language, English is also required. They employ over 6,000 shipboard staff from 25 countries. Their employment web pages list current vacancies, job descriptions and requirements. Applicants may complete AIDA’s online application or send their application documents to the below address.